In January 1969, I served as host and aide to the Israeli Ambassador to the United States Yitzhak Rabin during his visit to Norfolk, Virginia to address the World Affairs Council of Greater Hampton Roads. I was its founding Executive Secretary, and I had also served as the manager of a 1968 U.S. State Department Regional Foreign Policy Conference. I was 27 years old at the time, a U.S. Army veteran, and the father of a baby daughter. As I made the Norfolk arrangements, I was amazed that Rabin traveled unescorted on a commercial airline from Washington. As the three-star general who was the mastermind of the Six Day War, he was a potential terrorist target. Thus my arrangements included a limousine and two security details of Norfolk Police detectives and Secret Service agents. Rabin’s appearance at the World Affairs Council was well received. The three-car caravan then returned the Ambassador to the Norfolk airport for a scheduled flight back to Washington. We parked inside the tarmac, posted guards, and I went into the terminal to get the Ambassador’s boarding pass. Imagine my horror when I was told that his flight had been canceled. Given the options of having us drive him to Washington, or waiting more than two hours for the next available flight, Rabin generously chose to wait. So there I was with Rabin in the back seat of the limousine for two uninterrupted hours. There were no cell phones or laptops in those days. A member of our security team passed in cups of coffee as Rabin and I began a conversation about Allied commanders of the Second World War. We “evaluated” them; me a former enlisted man and amateur historian, and he a general and famed military tactician. The most significant memory and impression I carry from that encounter was that Rabin was a man of great character and sensitivity, a man I would trust with important decisions affecting our world. Rabin told me that he had planned a career in agricultural economics, but that war had altered his path. I sensed a longing for peace rather than power. Since that evening, I followed Rabin’s career with a feeling of personal involvement. And although I am not Jewish, I realized that none of us will be at peace until all of us are at peace. In 1994, I began having persistent dreams about the Middle East peace process. These dreams carried over into wakeful contemplation, and I felt a strong impulse to convey them to Rabin who was then Prime Minister of Israel. The “message” was really in the form of a question. What would occur if the official government policy of Israel toward the Palestinians were FORGIVENESS? There are theological grounds in both Judaism and Islam for forgiveness between individuals and between nations. How can there be peace without forgiveness? Forgiveness for all that has been done and forgiveness for all that has been imagined? Revenge has been a policy. Hate has been a policy. These policies have resulted only in death and chaos. We can only be forgiven as we forgive. This is where peace truly occurs. Offer forgiveness. Seek forgiveness. That was the essential message of my letter to Rabin dated June 23, 1994. 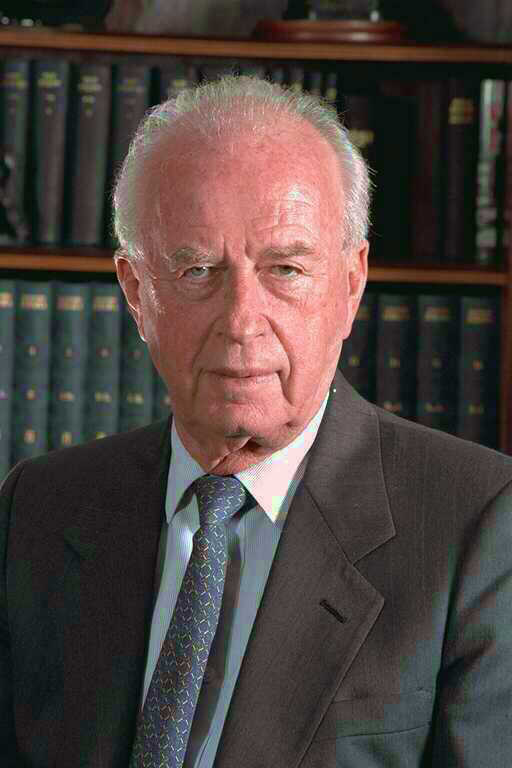 The assassination of Yitzhak Rabin took place on November 4, 1995 at 21:30 at the end of a rally in support of the Oslo Peace Accords at the Kings of Israel Square in Tel Aviv. The assassin, Yigal Amir, a far-right-wing religious Zionist, fatally opposed Rabin’s peace initiative and particularly his signing of the Oslo Accords. Perhaps any real chance of peace in the Middle East died that day as Rabin’s enlightened view was silenced. I wept bitter tears when I heard the news.